1) Explain what is SOAP UI? 2) Explain what is the role of XML, SOAP, WSDL and UDDI in web services? 3) Mention what SoapUI can do? 4) Mention how SoapUI is used to structure functional tests? 5) Mention what is the difference between REST and SOAP? REST: It is a way of designing a web services. 6) Explain what is the properties in SoapUI? 7) Explain where you use properties in SoapUI? 8) Mention what languages does SoapUI use? 9) Mention what are the default properties in SOAPUI? 10) Explain how you can parameterize the endpoints in SOAP UI? 11) Mention what is the general format for reading the custom or default property value? 12) Inside the SOAPUI where groovy script can be used? 13) Mention some important functionalities of SOAP UI? It helps in creating other types of validations like schema compliance, soap fault, response time etc. 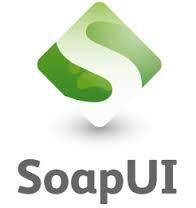 14) Explain what assertion is in Soap UI is and give some example of assertion possible in SOAPUI? In SOAP UI assertion functionality is used to validate the response of request received by the Test Steps at the time of execution. It is used to compare a part of message to some expected value. 0 on: "Latest SOAP UI Interview Questions Wiith Answers For Freshers."